Our scene-stealing flagship is an India Pale Ale that has become a byword for craft beer rebellion; synonymous with the insurgency against mass-produced, lowest common denominator beer. 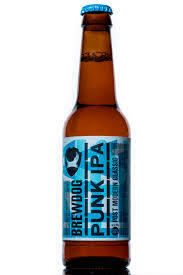 Punk IPA charges the barricades to fly its colours from the ramparts – full-on, full-flavour; at full-throttle. Layered with new world hops to create an explosion of tropical fruit and an all-out riot of grapefruit, pineapple and lychee before a spiky bitter finish, this is transatlantic fusion running at the fences of lost empires. This is a traditional English style of strong, powerfully hopped ale. 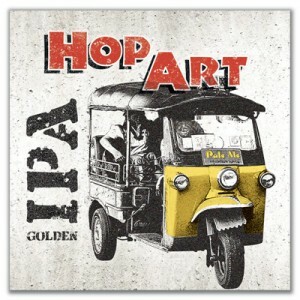 Hop Art has taken inspiration from the American craft beer approach of massive hop aroma but with a unique balance to create a contemporary India Pale Ale. Pale and Crystal malts provide a golden biscuity canvas for the hops. 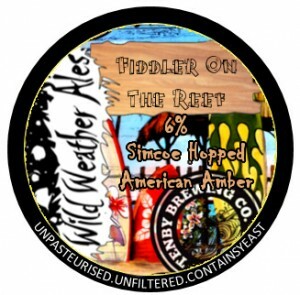 Simcoe, Ahtanum, Admiral and Cascade combine here with late dry-hopping to deliver a hedonistic, hoppy hit. At 4.5% abv, this Pale Ale has a good assertive pithy bitterness and a malty backbone. It is brewed with a selection of malts – Pale Ale, Rye and Cara – plus Citra, and a blend of other American hop varieties to create some great citrus flavours. 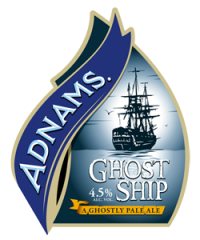 Ghost Ship was adapted from a recipe for Deathly Pale Ale which was withdrawn from sales because the skull and cross-bones lablel was too similar to the poison symbol.